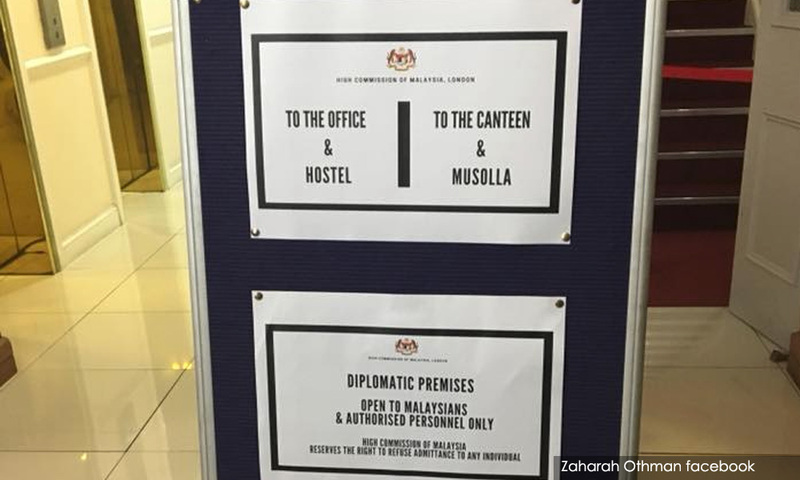 COMMENT | To eat nasi lemak, or kuih, in Malaysia Hall in London, one has to present one's passport. Last October, visitors coming to eat at the Malaysia Hall Canteen (known as the Canteen), were made to show their passport or IC. For those who are unaware, the Canteen in Queensborough Terrace, in the Bayswater area of London, is considered by many Malaysians to be a "home, away from home". It is located in the basement of the Malaysian Students Department (MSD), and is a place where one can satisfy one's cravings for authentic Malaysian food, at affordable prices. The Canteen is not The Ritz, but Malaysian students who are homesick, and on a tight budget, eat there. So do Malaysian residents who work and live in England. They also bring their non-Malaysian friends, and hordes of Malaysian tourists, visit the Canteen to experience true Malaysian hospitality and comforting Malaysian food. One could have nasi lemak or roti canai for breakfast, nasi campur for lunch and a selection of kuih for dessert, and still not break the bank. One could make oneself at home, and eat with one's fingers. Water and rose syrup are free. The easy-going atmosphere ended last October. The first Malaysians knew of the ruling was when a few of them who went to eat at the Canteen were turned away. They vented their fury on social media. The trickle grew into a torrent.